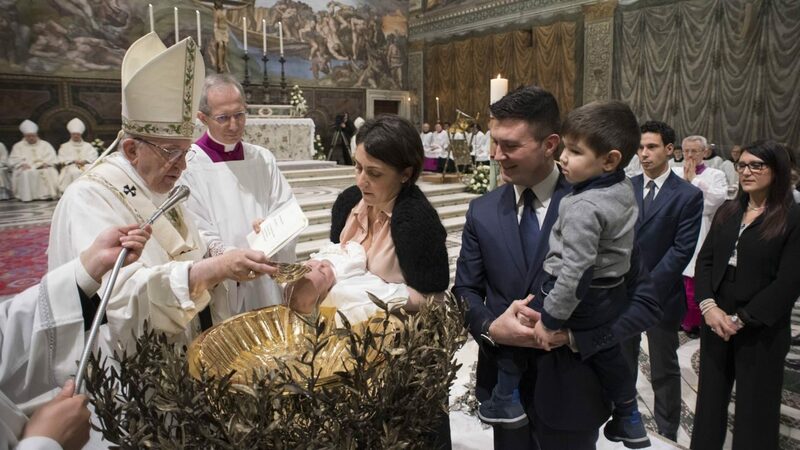 VATICAN CITY (CNS) — The baptismal font is a tomb in which a person dies to sin, and it is a womb through which a person is born to new life in Christ, Pope Francis said. “Just as our parents generated us to earthly life, the church has regenerated us to eternal life through baptism,” the pope said May 9 at his weekly general audience. “God loves us so much,” the pope told the crowd in St. Peter’s Square. Baptism is a sacrament that purifies, sanctifies and justifies people, giving them the grace to conform themselves to Christ, he said. “Here lies the Christian vocation: to live united to Christ in his holy church,” sharing its mission.